This species is accepted, and its native range is Europe to Russian Far East, Macaronesia to N. & NE. Tropical Africa, Arabian Peninsula. 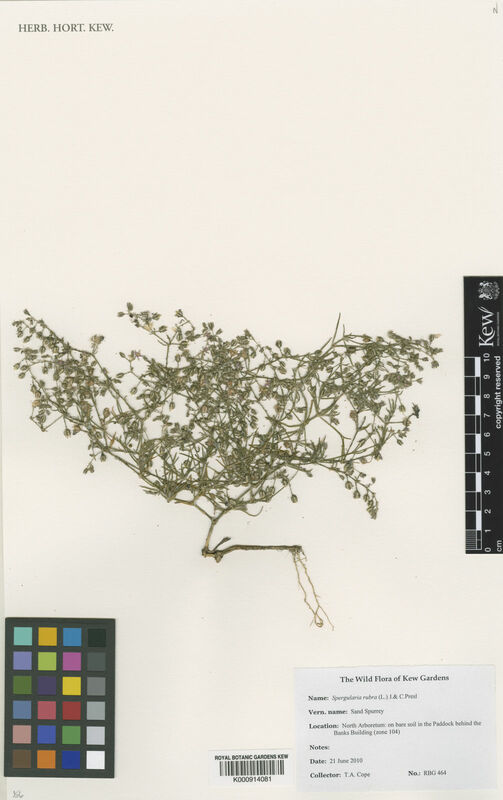 Lepigonum largiflorum F.Muell. ex Kindb. 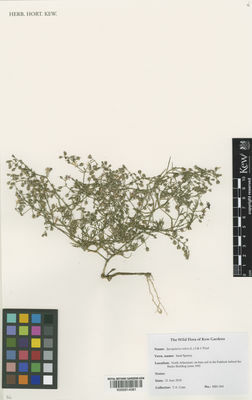 Lepigonum rubrum var. perennans Kindb. Lepigonum sperguloides Fisch. & C.A.Mey. Zykova, E.Yu & Ernst, A.S. (2012). Floristic findings of some rare and alien species in Siberia Turczaninowia 15(4): 34-40. Lazkov, G., Sennikov, A., Tojibaev, K.& Sultanova, B. (2011). New and rare adventive plants from Kyrgyzstan and Uzbekistan Novosti Sistematiki Vysshikh Rastenii 42: 226-231.